LPG Lipomassage (or LPG Endermologie) has been used for years by celebrities who want to lose weight, look younger, eliminate cellulite and bloating, and generally improve their physical appearance. Now at Beauty and Bloom, we do not only offer LPG treatments for the face and body, we also are the first in the country to get the Cellu M6 Alliance LPG machine, which gives you the same treatments but three times faster than before, saving you time and getting great results without waiting. 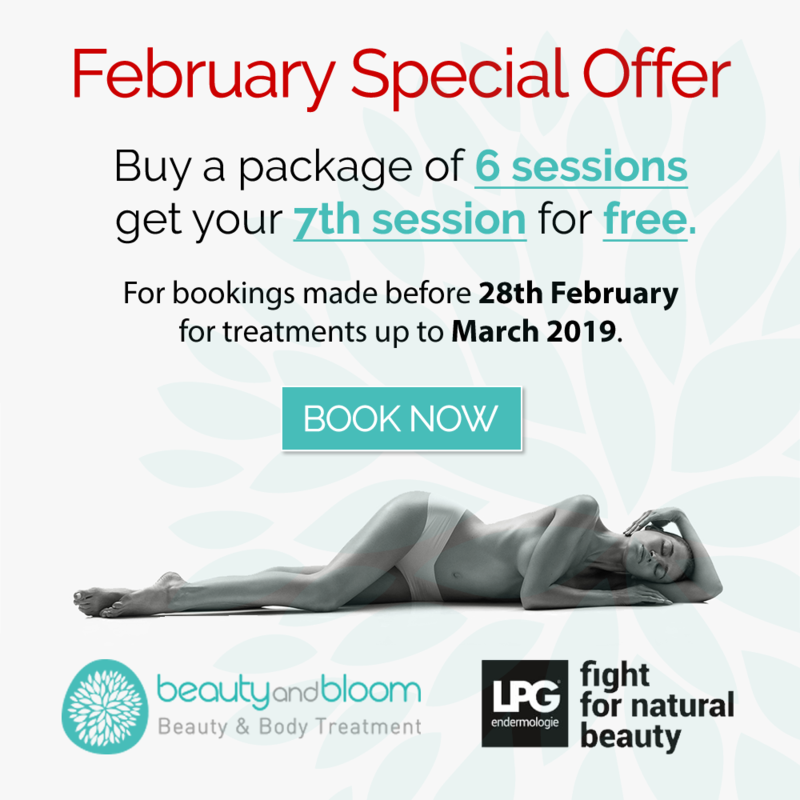 Anyone is a good candidate for LPG Endermologie, but here are the main reasons our clients swear by our Beauty and Bloom treatments. Saddlebags, muffin tops, fatty deposits in awkward areas which can result in cellulite or generally looking out of shape. It’s true that 90% of women have suffered from cellulite or unwanted “fatty” areas which are hard to remove by just exercising and watching what you eat. This is where LPG Endermologie comes in – as it uses its sophisticated, non-invasive technology to target those difficult areas – with visible results after only a few sessions. We all experience differences in our skin and in our complexion as we age, the most common issue being the thinning of the skin as it loses its youthful elasticity. With our treatments, you can directly target the affected areas and contour your face and body, tightening the skin, removing sagging areas, and ultimately giving back that youthful, radiant glow. Celebrities have been using LPG Endermologie for anti-ageing purposes for years, before we were lucky to see it available at Beauty and Bloom. LPG also aids with drainage and reduces bloating and water retention, which is very popular among women today. As well as generally slimming your figure, lipomassage of this form reduces water and brings down tummy bloating as well as sagging skin. It still comes as a surprise to some people, that you can achieve such great results from treatment which is completely natural and non-invasive. There is no pain involved in LPG Endermologie, perhaps a vibrating sensation from the machines. It has been known in special cases, where one has very pale and thin skin, that a small amount of bruising can occur after treatment, but even this is rare. Women who have had children will understand very well the changes that can take place on your body. LPG proudly targets these problem areas, removing sagging skin, bloating, and excess weight from after childbirth. Reducing localised, excess fat, as well as toning and sculpting, LPG Endermologie does a great job at restoring your slim figure whilst giving your skin a beautiful, radiant glow.